The Multistrada is getting a bigger engine for 2018, as the California Air Resources Board has released documents certifying a 2018 Ducati Multistrada 1260. According to the CARB executive order, the Multistrada 1260 will use a 1262cc engine, likely based on the existing Testastretta DVT engine used on the XDiavel. 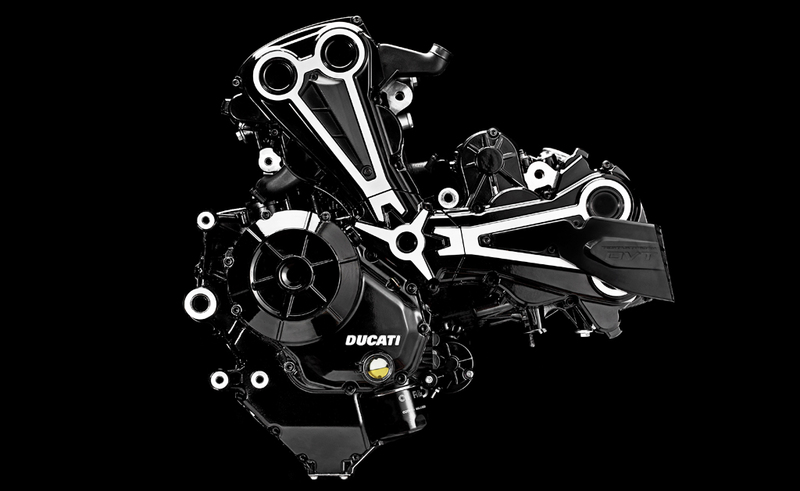 The Desmodromic Variable Timing engine actually debuted on the Multistrada 1200 for the 2015 model year, so we expect the technology to continue with the new model, which Ducati claims offers more power while burning 8% less fuel. The new Multi’s engine won’t be exactly the same as the XDiavel’s powerplant; CARB has separately certified the 2018 XDiavel, and documents show the Multistrada 1260 produces higher levels of emissions. Ducati claims the XDiavel produces 154 hp at 9500 rpm and 95 lb-ft. at 5000 rpm when rated at its crankshaft, but we expect a higher rev limit and more horsepower from the Multi 1260’s engine. The current Multistrada 1200 claims 158 hp at 9500 rpm and 100.3 lb-ft. at 7500 rpm from its 1198cc DVT engine, so we’d expect more than 160 horsepower and a bigger bump in torque due to the larger displacement. The CARB document also certifies three versions for 2018: the base Multistrada 1260, an S variant and a Pikes Peak edition. What’s missing, however, is a Multistrada 1260 Enduro. CARB has also certified the Multistrada 1200 models for 2018, including an Enduro version, so it’s possible the more off-road capable version will stick with the old motor for at least one more year. Unfortunately, the CARB executive order does not reveal any other changes to the Multistrada. We’ll have to wait for Ducati to provide official details. The 2018 Multistrada 1260 will likely debut at EICMA in November, if not sooner.